Expatriates relocating to this city should know that its promise of quality lifestyle doesn't come cheap. In the recent Mercer survey, Zurich ranked as the fifth most expensive destinations in the world. Food is the highest expenditure of an individual or household in Zurich and takes about 33% of their income. There is also the cost of housing, transportation as well as other activities such as nightlife which is common to young adults. Here are some of the prices in Zurich that expats should be aware of so that they can budget their finances without sacrificing a comfortable and enjoyable life. Every accommodation in any city becomes pricey the more it gets closer to the metropolitan or the central business district. According to real estate agents, one reason is the continuously growing demand from expats who are relocating with their families and not enough supply of large apartments to meet their needs. A one-bedroom apartment in central Zurich can cost around €1650 a month while a three bedroom unit is roughly €3000. Those who are willing to live in the suburbs will find cheaper accommodation where the average rental cost of a one bedroom flat starts at €1200 and €2200 for a three-bedroom apartment. Swiss spends an enormous amount of their monthly salaries on food. Foreign assignees, on the other hand, can maximise their budget by having several options on where to buy their necessities. The largest supermarket in Zurich is COOP which has several branches followed by Migros that offers home delivery service. Switzerland’s best markets are found in Zurich, and they are popular for offering quality products at an affordable price. One of the most visited markets is the Bahnhofmarkt that opens every Wednesdays from 10am to 8pm where people can buy fresh meat, vegetables, fruits, cheese and various Swiss delicacies. The normal price of a litre of milk in Zurich is €2 while a loaf of fresh white bread is around €3. Expats can buy a kilo of local cheese for €20 and other fresh produce such as fruits and vegetables at around €2 to €4 per kilo. 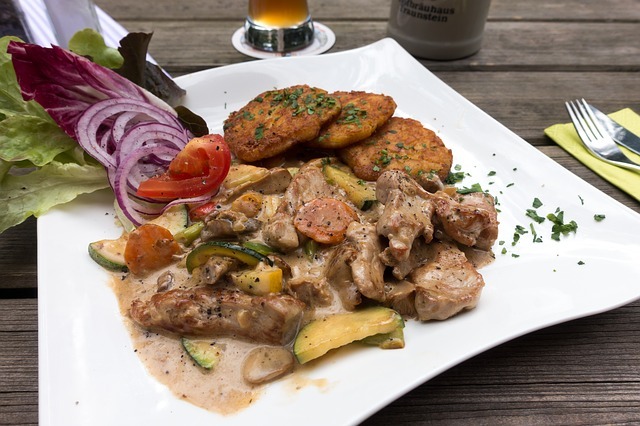 Dining out is also a common practice for the people in Zurich since many restaurants serve sumptuous international and authentic local cuisine. A regular meal at a fast food can cost €20 to €30 per head while a full three-course meal for two is around €100. Party goers and those who want to grab a drink or two will not run out of places to go in Zurich. During weekends, nearly half of Switzerland visits the city because of its lively nightlife where people can choose from bars, pubs or strip clubs. The most famous areas are Niederdorf which is located in old town and the streets of Zurich West and Langstrasse. As with other products, beers and drinks in Zurich are also quite pricey where local beer costs around €6 to €7 while a bottle of imported beverage is roughly €5 to €6. Expats should also bring an adequate amount of cash since some establishments do not accept credit cards. People in Zurich spend about 8.8% of their income in transportation. Driving is not popular among the Swiss that’s why the public transport system which is consist of trams, buses, boats and S-bahn (suburban rail system) are the most common way of getting in and around the city. Fare doesn’t come cheap that’s why most commuters buy the monthly or annual unitary ZVV Network Pass.